Woohoo! 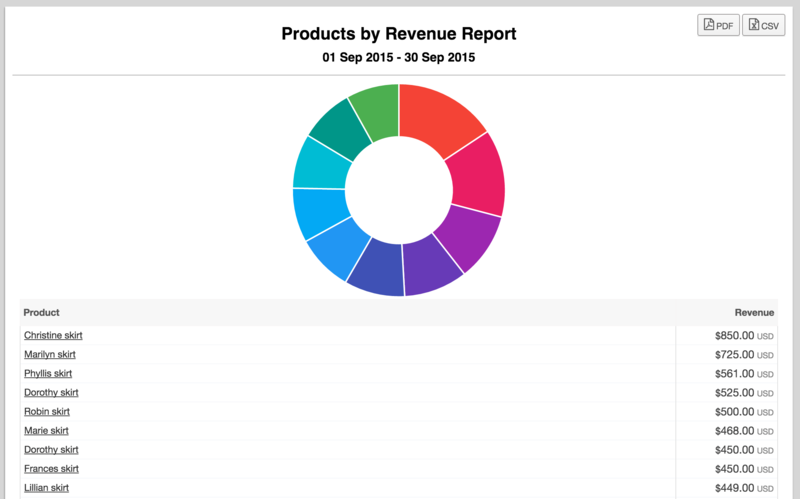 We've got 20 brand new reports for your handmade business! For the past couple of hot summery months at Craftybase HQ, we have been building up our reports area from scratch. As a result, some of our old reports have been completely reimagined and we've added a heap of completely new ones. In total, we now have 20 reports, covering sales, raw and finished product inventory, expenses, tax, manufacturing and customer history. We've standardised our framework for all reports, so they all now appear and work in a similar way and upgraded all charts to use a fantastic new set of visualisations. All reports are also now completely print friendly via a download to PDF option, as well as exportable as CSV which can easily be opened in Excel, Numbers, or Google Spreadsheets. You'll also find a short summary of what the report is about, along with a link to a help article about each one if you need any finer detail on how we generate these numbers. Since we have 20 reports in this announcement(! ), we'll cover them only in summary to give you a sense of each. 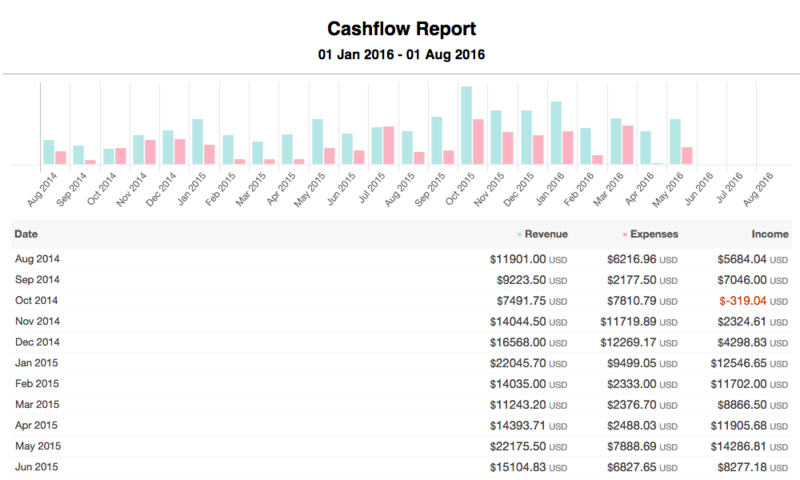 The Sales & Expenditure Report is the old Cashflow report, renamed and redeveloped from the ground up. We've removed some of the tax totals that had been tacked on to this report over the years as they are now better represented in their own reports. This report sits by itself at present, but we have plans to add some further reports to this area very soon. These reports cover low and out of stock alerts via the Reorder Report and starting / ending inventory values on the Material Valuation Report. 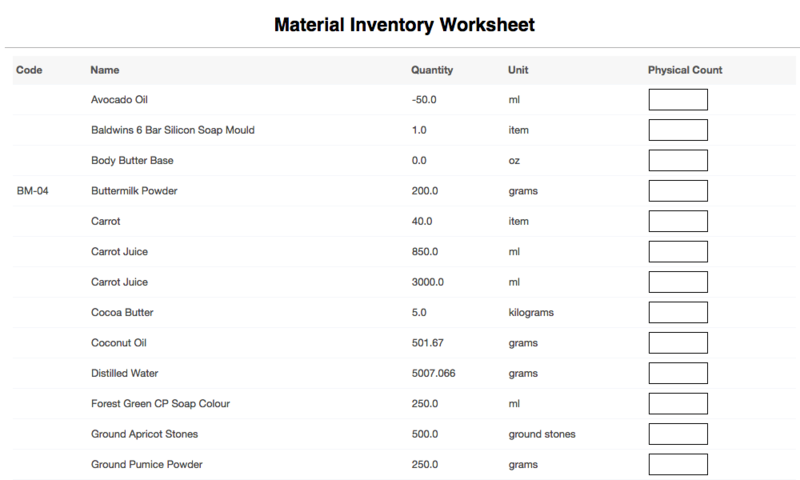 We've added a Physical Material Inventory Worksheet here too as an easy way to create a list for stocktake purposes. We have 5 reports in this section, covering low and out of stock alerts for products (including variation data at last! ), your top products in terms of sales volume and revenue, and both a printable product pricelist and inventory stocktake worksheet. This was one of our most focussed areas as we received a number of requests for more order reporting capabilities. 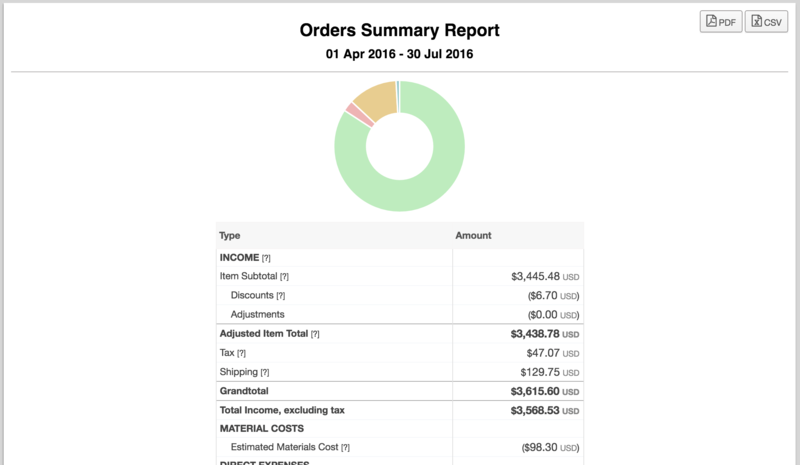 We've created a Order Summary Report that provides a huge amount of granularity to your order data, including material costs and profit margins. 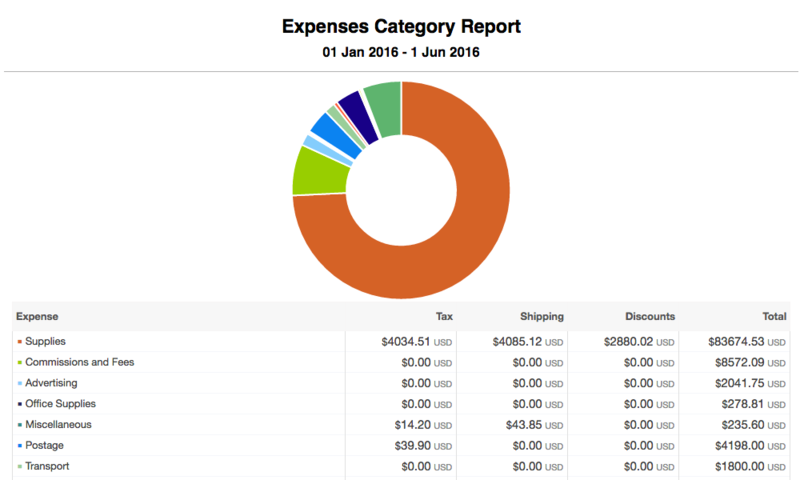 Other new reports include a Taxable Summary and Location Report that provides totals on orders based on your customer's location. The Margin Report provides a visual indicator of your overall estimated profit margin, and we have also added two reports to filter orders by channel and category. 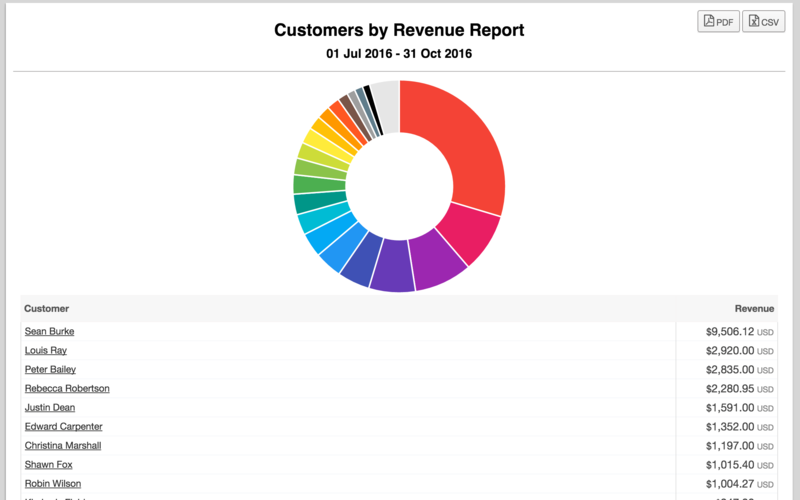 Another hotly requested enhancement to the old customer reports was a way to see more than 10 of your most frequent / highest revenue generating customers. We've done this, along with adding in some great visualisations so that you can better understand your customer base. This area has a single report at present: the Expenses by Category report. This shows you a breakdown of the percentage of your total expenditure by category. This report also filters by material and non material expenses, which can be a really handy total to have on hand come tax time! We'll be adding more to this area over the coming months so keep an eye out for changes here. 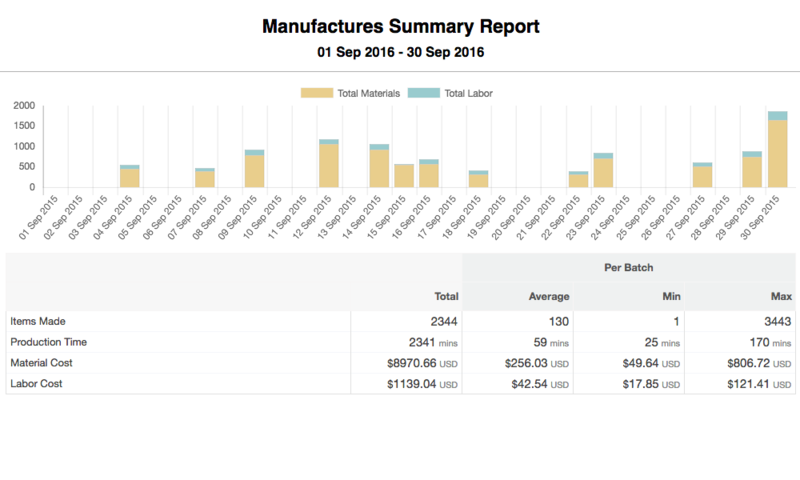 Finally, our manufacture reporting area contains a Manufacture Summary report, showing you stats from your manufactures within a specific time period: time taken, total material and labour costs are amongst the interesting stats that can be found here. Your Manufacture Picklist report is designed as a quick way of finding out what materials you need to produce a certain quantity of a product: current stock levels for all materials are displayed so you can also see what you need to reorder. We're currently working on bringing our documentation online for each report which will explain in depth on how each one works, but in the meantime if you have any questions about these please feel free to send us a message. Alternatively, please feel free to join us over in our brand new Craftybase Official Facebook group for a chat about the new reports!